Evan Perkins (Biology, Class of 2019) was a Kenyon Summer Science Scholar in 2018, working with collaborators from Wesleyan University with support from our NSF grant. Evan is working on statistical approaches to improve estimates of the leaf traits of fossil plants, by including taxonomic and phylogenetic information. Greg Holste (Mathematics/Statistics, Class of 2020) is working on macroecological analyses of the diversity and distribution of crop wild relative (CWR) species in North and South America, using the BIEN database and other resources. Our goal is to identify hotspots of CWR diversity where close relatives might be adapted to environmental extremes expected under climate change. Julia Unangst (Biology, Class of 2020) is working on relating spatial and seasonal variation in forest canopy structure (measured by leaf area index) to variation in soil respiration. She was a Kenyon Summer Science Scholar in 2018. Carter Powell (Biology, Class of 2020) worked on macroecological analyses of the diversity and distribution of bryophyte (moss, hornwort and liverwort) species in North and South America, using the BIEN database. Our goal is to test whether anomalous biogeographic patterns observed in Europe also apply in the Western Hemisphere. David Han (Biology, Class of 2021) worked with Julia Unangst on relating spatial and seasonal variation in forest canopy structure (measured by leaf area index) to variation in soil respiration. He was a Kenyon Summer Science Cascade Scholar in 2018. Cecina Babich Morrow (Biology and Mathematics/Statistics, Class of 2018) did work at the interface between ecology/evolution and mathematics/computation. As a Kenyon Summer Science Scholar in 2016, Cecina collaborated with researchers at the University of Arizona and Oxford University to develop and test new “hypervolume” methods for quantifying plant functional diversity and environmental niches. As a 2017 KSSS and Honors student, Cecina used hypervolume methods to explore the macroevolution of tetrapod life histories with support from of our collaborative research grant from the National Science Foundation. Erin Keleske (Biology and Environmental Studies, Class of 2018) worked on developing a deep-time perspective on climate change and biome distribution, using modeled paleoclimates. As a 2017 Kenyon Summer Science Scholar, Erin analyzed climate change patterns over the past 55 million years and her Honors Thesis was focused on estimating the time-integrated area available for the biomes of North and South America. Her work is also supported by our collaborative NSF grant. Toby SantaMaria (Biology, Class of 2017) worked on a field study of forest carbon cycling at the Brown Family Environmental Center and served as the teaching assistant for the fall 2016 Ecology Lab class. She was also the KerkhoffLab social media guru and is responsible for inflicting @kerkhofflab on the twitterverse. 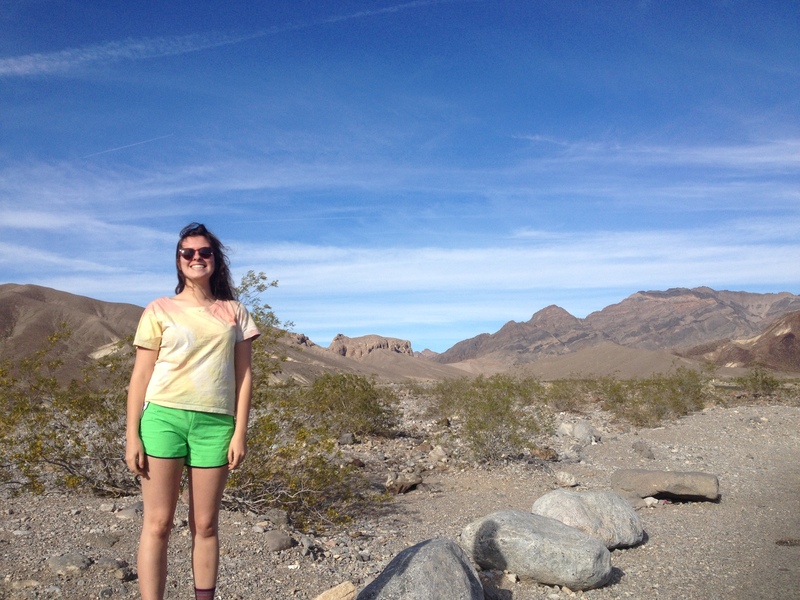 Caitlin Redak (Biology, Class of 2017) worked with data from the Botanical Information and Ecology Network to understand how climatic tolerances evolve in plant clades endemic to North and South America. Kirstin Staiger (Biology, Class of 2016) studied patterns of functional diversity along elevational gradients in temperate and tropical forest ecosystems using multidimensional hypervolume approaches. She was a Kenyon Summer Science Scholar in 2015 and was an Honors Student. H. Bennett Stephens (Biology, Class of 2015) studied the phylogenetic changes in climatic tolerance and biome transitions over evolutionary time, in a widespread lineage of flowering plants. He was a Kenyon Summer Science Scholar in 2014. Kelsey Dillon (Biology, Class of 2014) investigated size-abundance relationships in herbaceous wetland communities and tested whether theoretical models developed for forests apply to smaller-stature plant communities. She combined her own data with data from a variety of forest, desert, prairie, and meadow communities. Kelsey was a Kenyon Summer Science Scholar in 2013, and wrote a terrific Honors Thesis the next year. Stephen Raithel (Biology and Mathematics, Class of 2013) worked with the NSF-funded Manduca InSTaRs project, investigating metabolic scaling in larval insects. In particular, Stephen studied the scaling properties of a mathematical model of gut function. 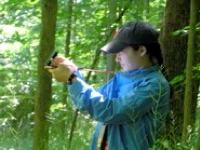 Nina Hamilton (Biology, Class of 2012) lead the second survey of the Bishop’s Backbone Forest Plot (BBFP). First surveyed by the KerkhoffLab in 2006 and 2007, the goal is to develop a picture of forest dynamics over the long term. Nina helped add the BBFP to the Brown Family Environmental Center GIS database. She was a Kenyon Summer Science Scholar in 2011. Kelly Wahl (Molecular Biology, Class of 2012) worked on developing “DNA barcoding” techniques to detect plant-herbivore feeding relationships based on insect frass. She moved on to Honors research with Prof. Gillen studying gene expression patterns in Manduca sexta. Nikolas Tun (Biology, Class of 2012) worked on metabolic and nutritional scaling in Manduca sexta. Specifically, examined the effects of food quality on growth and metabolism. Amanda Henderson (Biology, Class of 2011) studied the functional diversity of alpine meadow communities at the Rocky Mountain Biological Lab (RMBL). Her Honors Thesis research was part of a collaboration between the Kerkhoff Lab and the Enquist Lab at the University of Arizona. Pam Moriarty (Biology, Class of 2011) studied the “Tropical Conservatism Hypothesis” as a n explanation for the latitudinal species richness gradient in New World woody plant species. Based on latitudinal distribution data for over 12,000 woody angiosperm species, Pam used randomization approaches to test whether temperate species are drawn from a restricted, generally younger subset of the land plant tree of life. Dhruv Vig (Molecular Biology, Class of 2011) developed a mathematical model of caterpillar growth and feeding behavior in the context of inducible plant defenses. Katie Sears (Molecular Biology, Class of 2010) examined the scaling of nutrient assimilation, metabolism and growth in the larval tobacco hawkmoth, Manduca sexta, as part of the NSF-funded InSTaRs project in mathematical biology. Her Honors Thesis combined extensive laboratory data collection with mathematical modelling to evaluate theoretical models of the energetics of growth. Ryan Bash (Biology, Class of 2010) studied the scaling of carbon and nitrogen assimilation in Manduca. Pratima Shanbhag (Biology, Class of 2010) compared the scaling of growth and metabolism in Manduca reared on artificial laboratory diets to larvae fed their natural diet of tobacco leaves. Kaleb Keyserling (Biology, Class of 2009) studied the effects of invasive garlic mustard (Alliaria petiolata) on the photosynthetic capacity, growth, and nutrient status of oak and maple seedlings. Amy Kessler (Biology, Class of 2009) studied the effects of garlic mustard on seedling survival and growth. Ellen Thompson (Biology, Class of 2008) studied macroecological patterns of association between trees species and their caterpillar herbivores. Her Honors Thesis research used phylogenetic analyses and randomization techniques, she was able to assess the relative strength of biogeographic and evolutionary processes in determining species interactions. Sascha Lodge (Biology, Class of 2007) based her Honors Thesis on a survey of the Bishop’s Backbone forest, mapping and identifying nearly 2000 trees, shrubs and vines in a one hectare forest plot. She also compiled functional trait and geographic range information which allowed her to assess alternative hypotheses about forest community assembly. Kristin ‘K.K.’ Kvernland (International Studies, Class of 2017) examined the history of conservation in Madagascar, including both ecological and socioeconomic aspects of this difficult problem. Amy Strieter (English, Class of 2007) helped study plant size distributions in oldfield and prairie environments. Joe Donohue (Biology, Class of 2007) examined metabolic scaling in very small Arabidopsis seedlings. He also helped analyze phylogenetic patterns of range overlap in trees. Kate Boicourt (Biology, Class of 2006) helped study plant size distributions in oldfield environments.